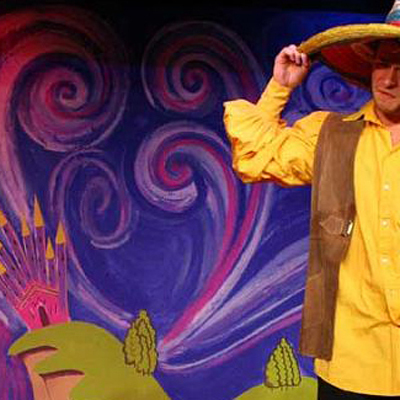 JACK AND THE BEANSTALK is a hilarious, full-length pantomime by the award-winning playwright Alexander Vail, commissioned in 2011. An epic adventure, decorated with suitably silly characters and outrageously funny dialogue, JACK AND THE BEANSTALK is a brilliant show, loved by audiences of all ages. Containing all the classic panto moments, with very modern flourishes, the first production delighted packed houses in its sold-out run. Fifteen scenes take place between: outside the Caishus family hovel/the palace wall, the road to market, Uriah Creep’s mansion, Gogmagog’s castle on a cloud. JACK AND THE BEANSTALK was first performed at Beckenham Theatre in December 2011. To request a perusal script for JACK AND THE BEANSTALK by Alexander Vail, please email me.